What if the fabric of our world were stretching or tearing … or getting thinner … and we could step through that veil into another world? Do the multiplying wonders mean that two worlds are about to collide? 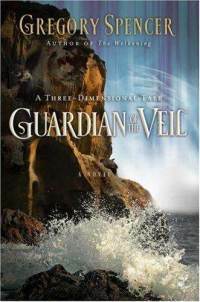 Young-adult fantasy, sequel to “The Welkening,” by Gregory Spencer. What if the fabric of our world were stretching or tearing … or getting thinner … and we could step through that veil into another world? It’s been a month since the Misfits — four friends who like to commiserate — were catapulted out of their adventures in the land of Welken and back into an ordinary summer in the small town of Skinner, Oregon. Mysterious reminders of those exciting days begin popping up everywhere. A mountain lion. A sailboat. A children’s story. Could Lizbeth, Bennu, Len, and Angie be needed, once again, in Welken? If so, for what purpose? And things seem different this time. Are little signs of Welken rippling through Skinner? Do the multiplying wonders mean that two worlds are about to collide? Or has Welken been within the Misfits’ reach all along, but they just hadn’t seen it? Fantasy for young adults, sequel to The Welkening.